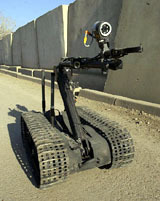 A Talon EOD robot on duty in Iraq. WASHINGTON — "The U.S. military plans a dramatic expansion in what has been deemed a successful robot operation against improvised explosive devices (IEDs) in both Iraq and Afghanistan. Officials said the military has has more than quadrupled its order, with a contract for 1,200 robots to detect and neutralize roadside bombs. 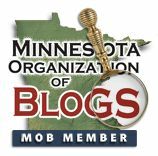 The robots would be delivered to the explosive ordnance disposal (EOD) units of every service in the military." More details.